Theatre and Film rates exist to help support local artists and in the hope of promoting the great work that our staff do. We appreciate tags in any instagram (@costumecave) and facebook (@thecostumecaveltd) posts of your shows. We offer a 24 hour approval service at $0.50 per item. A longer period can be organised in advance if required. For Film and Theatre groups only we offer a 50% discount off our normal hire rates on all items (excluding GST). This includes cleaning costs within normal wear. 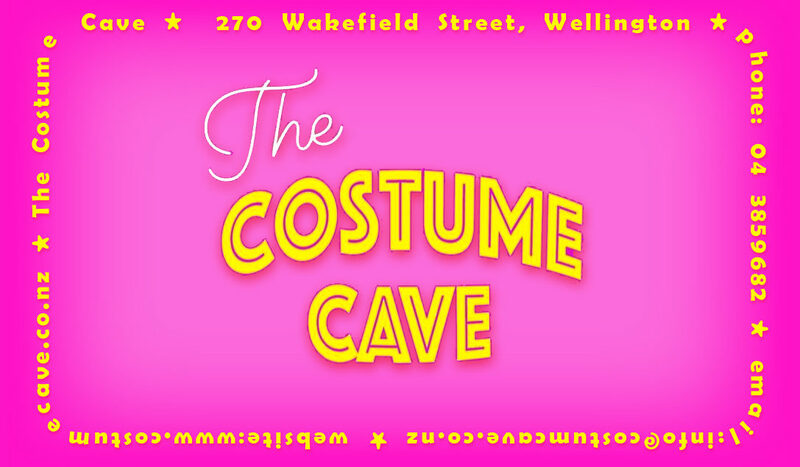 If costumes are not needed please let us know as soon as possible. If bookings are cancelled without notification there will be a 25% service fee and an invoice will be sent through. For more questions about this process please discuss with our lovely staff. Please bear in mind spots are limited, so don’t be offended if we can’t help at this time. Applications must be made in writing at least three weeks before required.